Hey look, it’s Crimson Tide 2! No wait, it’s The Hunt for Red October 2! Whichever it is, it’s a rip-off. And while I like Ed Harris, nobody likes David Duchovny except fans of The X-Files. In short, I think I’ll pass on this one, and you should too. I was remembering this little tidbit of pop culture the other day and it still gets me. This tiny speech has got to be one of the funniest moments in American history. Totally real and incredibly hilarious. I would think that everyone has seen it at some point, but do yourself a favor and watch it again. Bal @ SF – So the end of another NFL season is at hand. It was very entertaining, a lot of excellent story lines: RG3, Peyton with the Broncos, Kaepernick taking over, the Saints scandal, Wilson & Luck, Sanchez & Tebow, Ray Lewis, record-breaking Megatron, and many others. And although both my fantasy and real life teams failed in the end, I had a lot of fun. Bring on the Super Bowl. Now, I like 70s movies. I’d say that’s my favorite film era. They have a certain feel, a certain quality, that you don’t find in other decades. They move slowly, but that just adds an emphasis to a plot that is usually fairly simple compared to today’s complex and metaphorical themes. Films like Deliverance or Jeremiah Johnson. 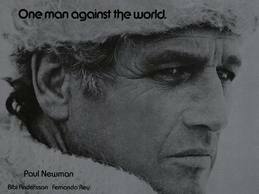 And for the matter, I like Paul Newman, one of the greatest actors of all time; The Sting, Butch Cassidy and the Sundance Kid, and Cool Hand Luke. But something happened here that I did not expect; Paul Newman did a movie in the 70s that was literally unwatchable. Quintet is set in a dystopian future in which the Earth has entered a new Ice Age. The world population is mainly centered in large cities, with only a few nomads roaming the frigid wild, hunting for seals and fighting for survival. When Essex returns to his home in the city after years in the wilderness, he finds that things have changed; people in the city have given up hope, are slowly dying, and no longer have children. Their only concern is for the playing of Quintet, a game of five players plus one shadowy sixth. With playing the game in casinos having become dull, the tournament has now become real, with human pieces competing for their lives. As Essex becomes drawn into the web of Quintet, his only chance to win is to adapt and fight, even if he doesn’t completely understand the rules. I am hard pressed to think of a movie that was worse than Quintet. It was utterly awful. The actors were all bundled up in layers of clothing and were breathing steamy breath. They were obviously freezing and could barely move; not conditions conducive to good acting. Newman was the only actor to not be speaking in an Italian accent, a very distracting tidbit. The plot centered around his character wandering around an icy city trying to figure out why everyone wanted to kill everyone else. There was little dialogue, little action, little of anything that makes a movie good. The only positive was the set; a beautifully constructed, frighteningly futuristic, ice world. But it didn’t matter; the set was great, but the story set in it was so terrible that nothing could save it. You take two over-dramatic actors and put them in an insultingly obvious metaphor and you probably make a lot of money. Problem is, you probably make a crappy movie too, if you care about that at all. Sure, the visual is interesting, but take that away and you’re left with an overdone love story in which people can flip over. Makes me a little nauseous. I never intended to see this movie. When I first saw the trailer I was intrigued; Russell directed The Fighter, which I loved, Lawrence was in Winter’s Bone which, again, I loved, and De Niro is, well, De Niro. But it was Cooper who turned me off. I knew him only as the d-bag from Wedding Crashers & The Hangover. So, putting him in a romantic drama/comedy didn’t sound like movie magic to me. Apparently it did to the Academy. Silver Linings Playbook is nominated for eight Oscars, including Best Director, Picture, Actor, Actress, Supporting Actor, and Supporting Actress. That was enough of a nudge to get me into the theatre. It is the story of Pat, a man who’s marriage is ending and who has just been released from an eight month stay in a psych ward. As he moves back in with his dysfunctional family and tries to improve himself in order to win back his estranged wife, he meets Tiffany, a woman dealing with issues of her own. The two form an unlikely friendship, as they attempt to maneuver their way through adulthood. While no movie could live up to such hyper hype, this film at least comes close. From the beginning it is extremely real, putting personality disorders in an interesting and often comical light. The family dynamic of this Philadelphia Eagles obsessed group is very genuine as well, with nothing fake or hidden. By the end, the story did take a turn for the cheesy, becoming a little too Hollywood to be excellent, but it never lost its audience. As far as the Oscars go, Cooper definitely earned his nomination, as did De Niro. Lawrence and Weaver; not so much, though they both were passable. Silver Linings Playbook might be a contender for Best Picture, and deservedly so, but it would fail to get my vote, by a slim margin. Creepy, creepy, creepy. I’m not usually into psychological thrillers (cheesy lines and over-dramatic actors) but this one looks pretty good. Although, I’m not a fan of Wasikowska (Alice in Wonderland, Albert Nobbs), she’s a little too dead inside. But hey, for this role maybe that’s perfect. When a film is nominated for Best Director and Best Picture, I tend to pay attention. When its 6-year-old lead is nominated for Best Actress, I find a way to watch it. At the very least, I have to see what makes a child Oscar worthy. In retrospect, I’m glad that I saw this movie for two reasons: A) I got to see a character, played by a kid, that you don’t see every day, and 2) I can now, when the award is about to be handed out, say with confidence that this film does not deserve it. 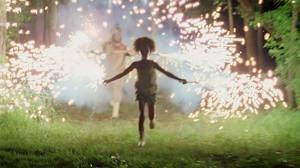 Beasts of the Southern Wild is part vivid reality and part haunting metaphor. The main character sums it up best when she says, “This is the story of Hush Puppy, who lives with her Daddy in the Bathtub.” Hush Puppy is a little girl living in poverty with her father in the South, on a bayou island called the Bathtub. When a hurricane hits, her life is turned upside down, and put very literally underwater. As she tries to understand the world around her, her imagination weaves into her daily struggle to survive. This film should never have been made. Nothing about the movie was good enough to be produced, sold, or nominated. Yes, Wallis was good, but you could argue that she never did any acting, and I would say none of the other actors did either. It was the story that was interesting, that should be told, but not necessarily seen. The blend of reality and fiction was strange at best; it never made a significant point and was unneeded. At the the end of the film I wasn’t satisfied; I was curious, and I would enjoy talking about what the various metaphors represented, but I could have gotten that from reading the script. 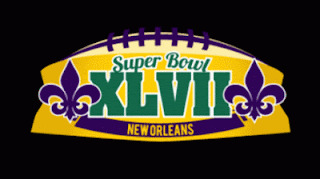 With no games to pick this week I thought we’d look back on the 2012 NFL Season. This video put together a few of the top plays of the year, based on either a big play or a big moment. Check it out. Admittedly, it was the movie that prompted me to read the book. I had, of course, heard of Jack Kerouac and his novels, but when I saw the movie trailer for On the Road I was intrigued and decided to read the book before the film came out. I’m glad I did, because I doubt the movie will make much sense to anyone who has not read the story first, as Kerouac’s exploits a wild, weird, and mostly disjointed account of his very interesting life. 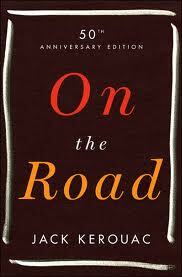 On the Road is a true story, the tale of Kerouac’s multiple journeys across the United States with his friend Nick. Under the names Sal and Dean, these two spiritual brothers experience as much in a week as many people do in a lifetime. With a host of interesting and real life characters, these two epitomes of the beat generation travel the world together, losing each other many times only to find each other again at the journey’s end. It’s difficult to describe this book; makes sense, it was pretty difficult to read. It is a true story and told event by event, as the characters drive from state to state, hop from bar to bar. The details became repetitive fairly quickly, and by the end I was ready to be done. But the saving grace of the novel was Dean. Sal/Jack Kerouac’s best friend Dean/Nick Cassidy is everything a young man could want in a hero; he is brash, driven, exciting, beautiful. He is Peter Pan, Finny, Gatsby, and Ferris Bueller all rolled into one ball of pure energy. Reading about him you can tell how much Sal loves him, wants to be him, is envious of him, and needs him. I was reminded of my own youth, a friend I have, and how perhaps without even knowing it we saw ourselves as Sal and Dean; two free spirits ready to take the world on. And perhaps that is the beauty of this story.